Few things mark a momentous time in your life, or recall a deep-seated emotion that stirs you to your core the way music does. It can stop you in your tracks, underscore a memorable day or change your life in unexpected ways. 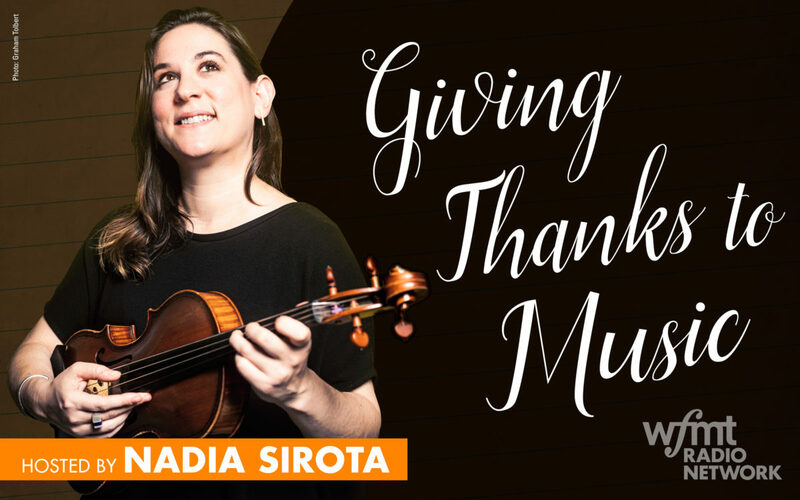 In the 2018 edition of Giving Thanks to Music, host Nadia Sirota, creator of the Peabody Award-winning Meet the Composer podcast, invites several musical artists, many of whom you and your audiences hear through their recordings each day, to choose a piece of music that illustrates the profound value that classical music has had for them in their lives. As these outstanding people from the worlds of conducting, composing and performance reveal their experiences, they and we give thanks for the music that has enriched their and our world. Grammy award-winning composer Augusta Read Thomas, who recently founded the University of Chicago’s Center for Contemporary Composition and has taught throughout her career at the Eastman School of Music, Northwestern University, and the Tanglewood and Aspen music festivals. This program reveals how classical music has inspired some of the most celebrated artists composing for and gracing our finest stages today.